Pioneers in the industry, we offer finished fabric, processed finished fabric and finished fabric from India. With the valuable assistance of skilled team of professionals, we are offering an extensive range of high quality Finished Fabric. Our expertise in understanding needs of clients, we offer these fabrics with exclusive designs and patterns. In addition, we can also customize these finished fabrics as per the specifications provided by customers in terms of print-ability as well as dyeing options chosen by the customers. We are the noted organization actively engaged in offering a wide gamut of Processed Finished Fabric. 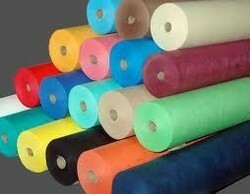 This proceeded finished fabric has a high demand in domestic as well as international markets. Our clients can avail these fabrics from us in variety of colors, shades and designs. For our client's benefit, we deliver these cost-effective fabrics within the stipulated time period. We take pride to introduce ourselves as one of the renowned manufacturer, exporter, importer & supplier of supreme quality Finished Fabric. 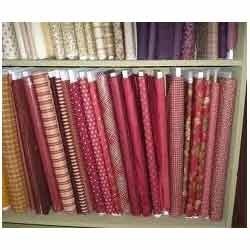 Also, these finished fabric are comes on assorted specifications as per the requirements of customers. These finished fabrics are produced from high quality yarns and are used to design and develop a wide range of clothes. Offered finished fabrics are checked in terms of quality so as to supply a defect free range. Backed by our flourishing business processes, we are able to manufacture, import, export & supply of Finished Fabric. 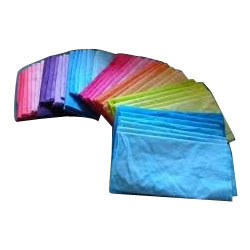 These types of fabrics are used in the textile industries. 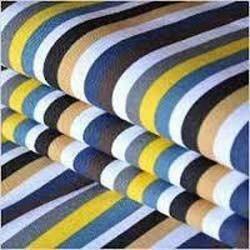 Our offered Fabrics are made from excellent quality raw materials and it can be availed at industrial leading price. These fabrics can also be customized as per the specific finish requirements of clients. We are instrumental in providing our clients a comprehensive range of Finished Fabric. 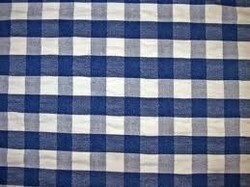 These fabrics are available in bleach, natural, hand dyed in multiple colors, checks and in stripes. Our offered fabrics are checked in terms of quality in order to dispatch a flawless range from our side. The offered fabrics are available with us at a good market price which is easily affordable by the clients.